© 2010-2019 Kevan Hashemi, Open Source Instruments Inc. The Subcutaneous Transmitter (SCT) A3028, and its predecessors the A3019 and A3013, are wireless sensors designed to monitor biometric signals within live animals. We describe their operation in Subcutaneous Transmitter System. 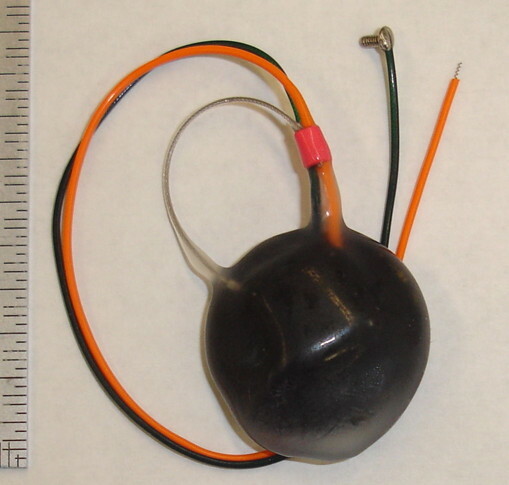 Figure: Subcutaneous Transmitter (A3028D-AAB) Encapsulated in Epoxy with 150-mm Wires. 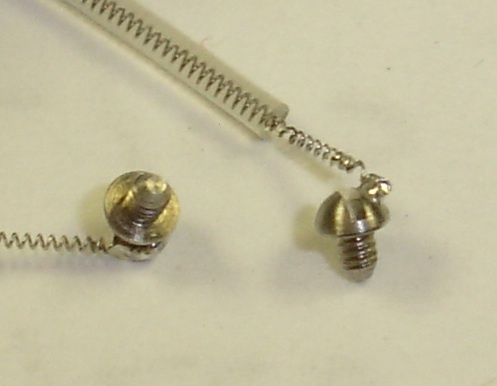 One electrode is a stainless steel screw and the two are bare helical wires. Here is a list of available electrodes for use with our subcutaneous transmitters. A Bare wire, length 2 mm, stainless steel helix. B Screw, thread 0-80, diameter 1.6 mm, length 3.2 mm. C Screw, thread M0.5, diameter 0.5 mm, length 0.6 mm. F Pin, diameter 0.64 mm, length 4.1 mm, Mill-Max 5035-0-00-15-00-00-33-0. Mates with Plastics One socket E363/0. G Pin, diameter 0.51 mm, length 4.4 mm, Mill-Max 5063-0-00-15-00-00-33-0. Mates with Plastics One socket MS303/6. H Depth electrode, wire 125-μm dia Pt-Ir, insulation 200-μm dia teflon. Locate with guide cannula, cut wire after cementing. J Depth electrode, wire 125-μm dia 316SS, insulation 200-μm dia teflon. K Screw, thread 00-90, diameter 1.2 mm, length 1.6 mm. L Screw, thread 000-120, diameter 0.86 mm, length 1.6 mm. M Bare silver wire, diameter 125 μ, length 50 mm. W Depth electrode, straight wire 125-μm dia 316SS, insulation 200-μm dia teflon. Locate with hypodermic tube, cut tube and wire after cementing. X Depth electrode, wire 125-μm dia 316SS, insulation 200-μm dia teflon. Connect with tube crimp, locate with steel tube, remove locator after cementing. Table: Electrode Letter Codes for the A3028. We discuss the encapsulation of implantable transmitters in Encapsulation. We discuss the design and manufacture of their silicone-insulated, helical, stainless-steel leads in Flexible Wires. The electrical contacts at the ends of these leads are what we call the electrodes. The primary purpose of the electrodes is to detect a biometric potential for transmission and recording. We designed the SCT system to monitor the electroencephalograph (EEG) or local field potential (LFP) in a live animal. For a discussion of the sources of the EEG and LPF signals, see The Source of EEG. Here we present the performance of various electrode in recording the extracellular potential within the cortex of a live animal. [05-FEB-16] The flexible leads of a subcutaneous transmitter contain a stainless steel helix to carry biometric signals to the transmitter's amplifier. The wire itself is 316 stainless steel, which resists corrosion well, but will not accept solder unless treated with acid flux. Figure:A-Electrode. The tip is a helix of stainless steel, filled with silicone. To make a bare wire electrode, we stretch out the helix, let the silicone core fall away, and bend the straightened wire at right angles. The bare-wire electrode is attractive because the experimenter can re-create the electrode without using solder or acid flux. We must take care to anchor the bare wire securely with respect to the recording point. It is not sufficient to put the wire into a skull hole and hold it in place with dental cement. The best way to hold the wire in place is with a screw in the same hole as the wire. We start by stretching the exposed steel helix until it is nearly straight. We cut it to a length that will reach through a skull hole and penetrate the brain to the correct depth, or rest upon the surface of the brain. A penetration of 1 mm gives a more powerful EEG signal than a wire tip on the dura. In rats, we recommend a length of 5 mm. In mice, 2.5 mm. We bend the wire by ninety degrees half-way along its length. We place the wire in a skull hole and lay the insulated lead along the surface of the skull. We thread a screw into the hole. The exposed wire on top of the skull allows the screw to avoid interfering with the silicone insulation of the lead, and will allow dental cement to bond to the wire directly. In rats, the 2.5 mm wire passing through the skull will penetrate roughly 1 mm into the brain. In mice, the penetration of the 1.2-mm wire tip will be similar, because the skull is thinner. With the wire held in place by a screw, we cover the screw with dental cement. The cement anchors and insulates the head of the screw and bonds to the wire itself. The helix will flex between the transmitter and the anchor screw, but the bare wire and the screw will be fixed with respect to the skull. Movement of the brain with respect to the skull will generate movement artifact, but we will not see sudden steps due to intermittent metal-on-metal contact. Nor will we see EMG artifact from muscles above the screw, because we have insulated the top of the screw with cement. Figure: A-Electrode (Bare Helical Wire) Implanted with Anchor Screw. Here we have a hole drilled in bone, a bare wire electrode in the hole, and a 3.2-mm long 1.6-mm diameter screw threaded into the hole to fasten the wire in place. When we retrieve the transmitter from the animal, we tend to cut the leads where they emerge from the skull cement. It is possible to dissolve dental cement with vinegar, but usually the animal's brain is needed intact for examination. Having cut the leads, we remove silicone from the tips to expose more wire, and so we can re-create the bare wire electrode for a second implantation. We have tried many other variations on the bare-wire electrode described above, and all of them exhibit movement artifact that is common enough to hinder seizure detection. For example, we tried stripping the insulation off 20-mm of wire and fastening this wire to the skull surface with two screws to act as a reference electrode. This arrangement generates transients. We clap our hands, the animal flinches, and the EEG jumps by 20 mV. The bare wire is currently our most popular electrode for EEG recordings, because of the flexibility it offers. But if we want to look deeper into the brain, we cannot use the bare helix, because it has no insulation, and it is not straight enough to locate precisely. [05-FEB-16] Stainless steel screws are useful as electrodes for EEG recording, because they are easy to anchor to the skull. We drill a hole slightly smaller than the screww, and thread the screw into the hole. 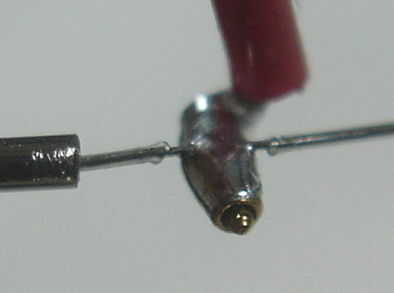 The steel wire of the pick-up lead is soldered to the head of the screw. If the screw is large enough, we solder the wire to one side of the slot in the screw head. During implantation, we turn the screw with the slot. But of course we have a pick-up lead connected to the screw, so the lead rotates along with the screw. 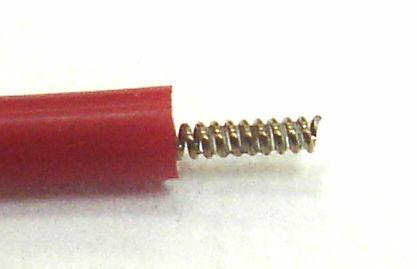 In order to leave the pick-up lead relaxed when the screw is in place, we must pre-twist it by the same number of turns required to thread the screw down into the hole. If the screw is small enough, we can simply press the threads into the skull hole, hold the screw in place with cement, and in the days following, the skull will grow into the threads of the screw and hold it firmly in place. Thus we avoid, with the smaller screw, any pre-twisting of the lead. The screw is in electrical contact with the wire at its head, with the skull it passes through, and with the brain at its tip. We cover the head of the screw with dental cement, so it is insulated from body fluids and from any muscles that may lie over it, such as is the case for lateral skull screws in rats. Because the conductivity of the skull is low compared to that of the brain, the screw, despite its large and clumsy appearance, provides a connection to the surface of the brain. We have used skull screws in hundreds of implantations, and they provide reliable, artifact-free recordings. Despite the need to pre-twist the leads for larger screws, the skull screw remains the easiest electrode with which to obtain a reliable recording. Figure: Screws Soldered to X+ (White) and X− (Clear) Leads in A3019D Transmitter. Ruler divisions are 0.5-mm. The screws are 00-90, 1/16" length. Their threaded shaft is 1.6 mm long and 1.2 mm in diameter, with thread pitch 0.28 mm (ninety threads per inch). 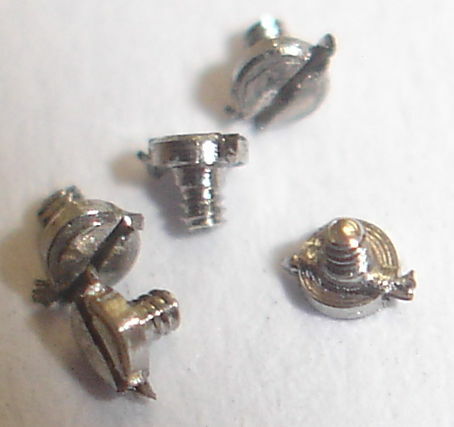 The top of the screw is a binding head. The insulation covers the coils almost to the solder joints. The following table summarizing the dimensions and properties of the screws we have used with our transmitters. 0-80 1/8" 1.52 0.32 3.2 Rat skull when >8 weeks. 00-90 1/16" 1.2 0.28 1.6 Rat skull when <8 weeks. 000-120 1/16" 0.86 0.21 1.6 Rat or mouse skull electrode. M0.5-0.125-1.0 0.50 0.125 1.0 Mouse skull electrode. M0.5-0.125-0.6 0.50 0.125 0.6 Mouse skull electrode. Table: Electrode Screws Used With Subcutaneous Transmitters. In all cases, the diameter of the skull hole for a good fit with the screw threads will be roughly 75% of the thread diameter. Thus a 1.6 mm diameter thread will fit well with a 1.2 mm hole drilled into the skull. [04-AUG-10] We obtain samples of a screw, 00-96X1-16 from Plastics One, from CHB. With the help of acid flux, we solder screws to the tips of the wires of an A3013A, as shown here. The wires are soldered to the top sides of the heads of the screws. We tried soldering the wires to the underside of the screw heads, but we found that solder spread all down the length of the screw, obscuring the threads. Even when we solder the wire to the top of the head, we must take care not to allow solder to spread to the threads, and we do this by threading the screw into a small hole in a piece of box cardboard. The cardboard also provides us with a means of holding the screw while we make the joint. [12-AUG-10] Archive M1281455686 contains EEG recorded by screws in No8 compared to EEG recorded by epoxy contacts in No10. The screws provide a stable baseline. Both contacts provide wave burst and seizure detection. The screws appear to be slighly less sensitive to seizure activity than silver epoxy or the bare wire electrodes. Peak seizure power in the 2−10 Hz range is around 5000 k counts-sq compared to 10,000 k counts-sq for the other electrodes. [15-AUG-10] CHB implants No6 with screws. The wires of this transmitter are only 100 mm long, a bit short. We see large transient jumps on the signal. Sameer reports, "I think the unstable baseline from transmitter#6 can be attributed to the use of epoxy to secure one of the screws instead of a drilled hole. Due to some reason, I think size or location of leads, YingPeng couldn't drill it in. However, the other screw was fastened into the skull." [25-AUG-10] We receive two sizes of 303 stainless steel screws from SmallParts (now Amazon Supply). Both have what is called the binding head, which is flatter than the screws we started with, as you can see in the photograph below. 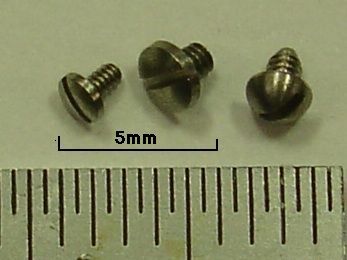 Figure: Three Stainless Steel Screws. All three are 1.6 mm long. Left: 000-120 thread, binding head, B000FN0J58 from Amazon Supply. Center: 00-90 thread, binding head, B002SG89QQ. Right: 00-96 thread, round head, 00-96X1-16 from Plastics One. All these screws are 1.6 mm long (1/16"). The 000-120 has diameter 0.86 mm with thread pitch 0.21 mm. The 00-90 has diameter 1.2 mm with thread pitch 0.28 mm. the 00-96 has diameter 1.2 mm and thread pitch 0.26 mm. 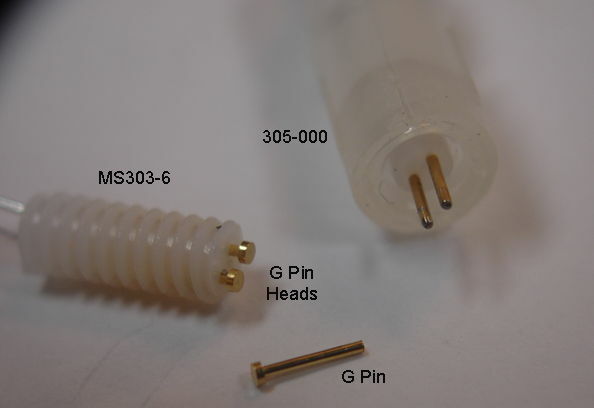 [03-APR-11] We have settled upon the 00-90, 1.6-mm long binding head screw as the standard for the A3019D transmitter for implanting in rats. For mice, Louise Upton has chosen an M0.5-0.125 screw, the B0038QOYFA, which has a thread 1.1 mm long and 0.5 mm in diameter, with pitch 0.125 mm. We soldered this screw to the 70-mm leads of an A3019A. She drilled holes in the skull of a dead mouse and declared the screw to be the perfect size. She did not thread the screw into the hole, but instead pushed it in. The threads held the screw in place. [03-APR-11] We study 15 hours of recordings from ION/UCL, from eight control animals. The transmitters are A3019Ds with 00-90 binding head screws 1.6 mm long. The leads are insulated right up to the solder joints on the screw head. The screws are set directly into the skull with dental cement to hold them in place and insulate them. For a typical recording from eight sets of screw electrodes, see here. We see few artifacts in the EEG. The amplitude of each trace is around 40 μV. Another similar period of recordings from eight different animals with the same electrodes shows 40 μV baseline EEG also. The consistency between the baseline amplitudes suggests that the screws are giving a repeatable contact with the brain. [04-APR-11] ION/UCL suspects that the 00-90 screws are coming loose from the skull after a few weeks. "Yes, I also had the impression that the power per frequency band was quite consistent between animals, at least during the first week of recording. After that power tends to decrease across all bands in quite a lot of animals. This is probably caused by the skull getting thicker and slowly pushing the screws out. This ends in rats loosing their electrodes after 2 to 4 weeks. I've now soldered larger screws on a couple of transmitters and will also add a few more screws just to anchor the headpiece to see if this will enable recordings with stable band power for two or three months." [13-SEP-12] By now we have supplied to ION over thirty transmitters with 00-80 screws, 1.6 mm in diameter and 3.2 mm long. 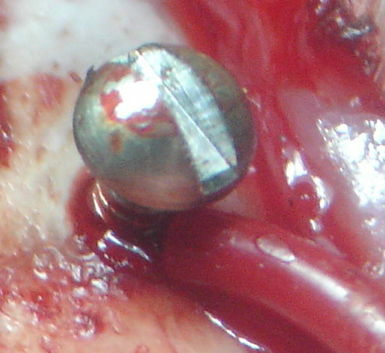 These screws require a hole in the skull of diameter roughly 1.2 mm. They appear to work well for implants greater than four weeks, when the smaller screws lose sensitivity. [12-JUN-13] Our M0.5-0.125-1.0 screw is $8 each in quantity 100, and it is often out of stock at the supplier. By now, Louise Upton and Sukhvir Wright of Oxford University have implanted roughly forty transmitters with these screws, and they found them to be too long. They use a 0.4-mm thick washer to back the screw away from the top of the skull. The bone is 0.4 mm thick, so the tip of the screw would be roughly 0.2 mm into the brain, pressing upon the surface. Today we ordered, from US Microscrew, quantity 1000 of a custom-made screw, diameter 0.5 mm, shaft length 0.6 mm, which we name M0.5-0.125-0.6. [23-JUL-13] We receive our 1000 screws and find that their threads are fine, but the heads are mangled by the slot cut, as shown here (US Microscrew, 0.5 mm diameter, 0.6 mm length screw, first attempt). [02-AUG-13] We receive from US Microscrew another 1000 screws to replace the first set. This lot don't have a slot cut in the head. We cover the entire head with solder, so we don't need the slot. Removing the slot makes the part easier to make. 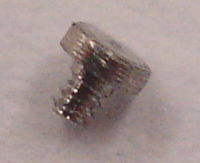 Figure: US Microscrew, 0.5 mm diameter, 0.6±0.1 mm length screw, second attempt. Note the screw has no slot in the head. [05-FEB-16] These M0.5 threaded electrodes have provided tens of thousands of hours of reliable recordings. [05-FEB-16] Gold-plated pins allow us to connect the end of our EEG lead to depth electrodes. The depth electrode is too cumbersome to pass easily beneath the skin of an animal from the transmitter to the head. The pin, on the other hand, is easy to move up under the skin. Our contact pins are made by Mill-Max, and are summarized in their data sheet. The photograph below shows our D Electrode, which mates with our H and J Electrodes. Figure: D-Electrode. Diameter 0.30 mm, length 3.1 mm, Mill-Max 4353-0-00-15-00-00-33-0. The pin is soldered at right-angles to the tip of an EEG lead. 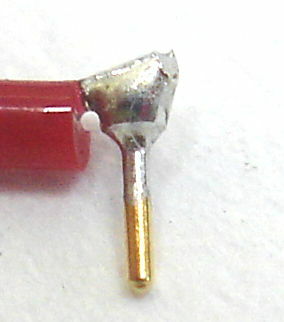 Note the solder has wicked its way part-way down the pin, but the tip of the pin is still exposed gold plate. The pins are easy to solder to a steel wire. They provide a gold-plated finish, which mates well with the gold-plated finish of a socket, to provide a corrosion-resistant electrical contact within dental cement saturated with water vapor. Figure: F-Electrode. Pin, diameter 0.64 mm, length 4.1 mm, Mill-Max 5035-0-00-15-00-00-33-0. Mates with Plastics One socket E363/0. Our F and G eletrodes are pins that mate with electrodes made by Plastics One. Figure: G-Electrode. Pin, diameter 0.51 mm, length 6.0 mm, Mill-Max 5063-0-00-15-00-00-33-0. Mates with Plastics One socket MS303/6. When you choose an electrode with a socket, we will look at the socket drawing and choose a pin that will fit sungly and take up as little vertical height as possible, to keep your implantation compact. [06-MAR-19] A crimp contact is one where we bring together two wires we want to join, surround them with a steel tube, which we call the ferrule, squeeze the tube, and so hold the two wires together. Crimp contacts are not secure when we try to join straight, solid wires. The wires inside the ferrule must push outwards with a force that persists even as we flex the wires. Our helical leads are made of stainless spring steel, and are ideal for crimping inside a short length of hypodermic steel tube. When we want to crimp to a straight, solid steel electrode wire, we wrap it in a short length of helical steel lead, and crimp to the outside of the helix. The helix holds the solid wire in place, and pushes outwards upon the ferrule. 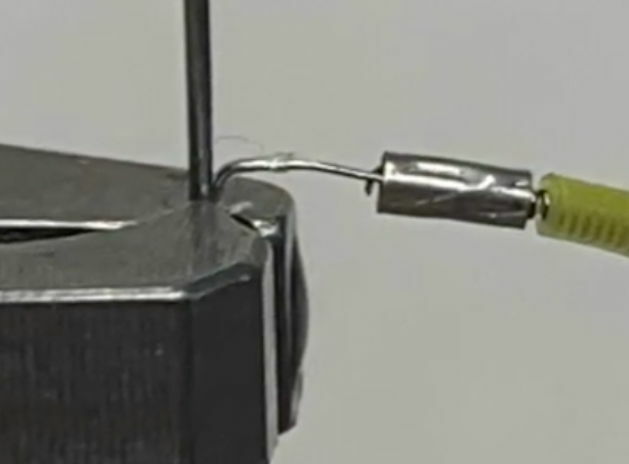 We demonstrate crimping a 250-μm helix to a 125-μm wire in our X-Electrode Crimp movie. In the movie, we see the 125-μm straight, solid wire from the depth electrode has been wrapped in a 3-mm length of 450-μm diameter steel helix, and fastened at one end of a 3-mm long ferrule. We then insert the 250-μm helix in the other end of the ferrule and squeeze to complete the connection. When we join a 125-μm stright solid wire to a 450-μm helix, we can thread the wire into the center of the helix and crimp onto both at the same time. But this procedure requires that we bring the two leads together, hold them together, and then somehow drag the ferrule over the joint and squeeze without allowing the straight wire to come out of the helix. More practical is to hold the stright wire in place with a separate helix and crimp the lead helix separately. Note that there is some metal inside of the open end of the ferrule, so it may take more than one try to insert the bare lead coil into the ferrule. This is normal. They have all been tested to ensure that there is enough space for the coil to fit inside parallel to the wire already inside of the ferrule. Before dental cement is added, the crimp should be checked to ensure that it is not in contact with the electrode holder, which would make an electrical connection to the holder, possibly introducing an artifact. [07-MAR-19] To reach farther into brain, we need a stiff, insulated wire. A depth electrode must provide a means to hold the wire securely during implantation so we can move it to the correct depth. To confirm that the wire tip is in the correct location, we may need to examine the local field potential around the wire tip as we lower it into the brain. 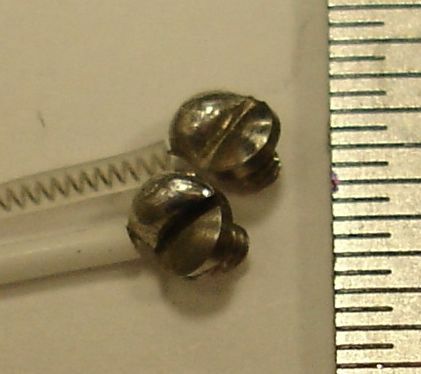 The photograph below shows the W-Electrode, which is based upon a design by Mikail Weston of ION/UCL. Figure: W-Electrodes With Cut-Off Locations. The wire is teflon-insulated 125-μm diameter full-hardened 316 stainless steel. A stainless steel tube holds the wire, and provides a mounting fixture during implantation. We straighten the wire by hanging a weight on it and twisting. Mikail made his electrodes out of platinum-iridium wire, which is stiff and easy to solder to. We use stainless steel because it is even stiffer, and we are adept at soldering to stainless steel. The W-Electrode provides a socket into which we can plug a gold-plated pin. 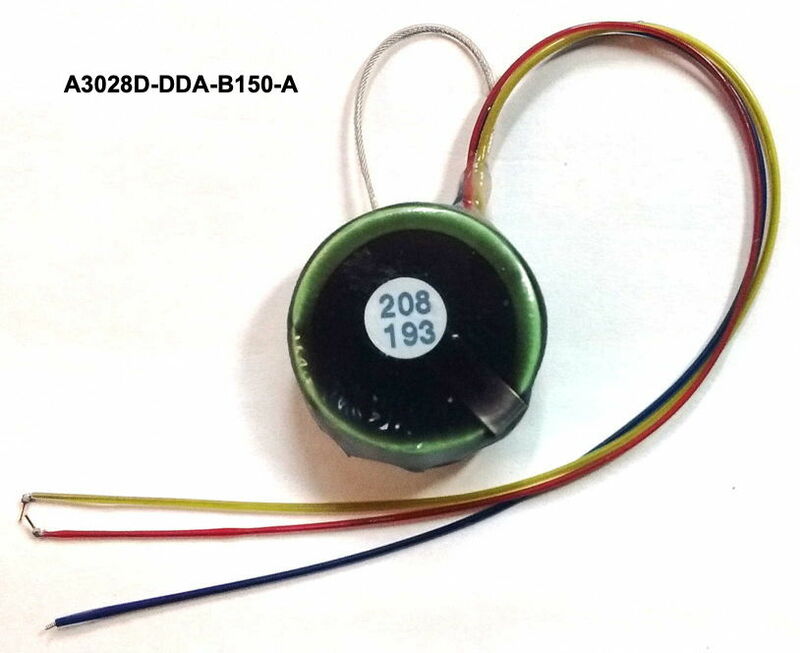 The pin that fits the socket is the D-Electrode that we can attach to the end of any of our EEG leads. The X-Electrode is similar to the W-Electrode by uses a solderless crimp connection to join the electrode wire to a bare wire termination of one of our stainless steel helical leads. The video below shows how the crimp is done. We find that crimp contacts generate less chemical artifact than contacts that involve solder joints. In the case of the W-Electrode we have two solder joints: one between a helical lead and the pin, and the other between the electrode wire and the socket. The crimp contact consists only of stainless steel. Contact within the crimp is maintained by compression of a steel helix. 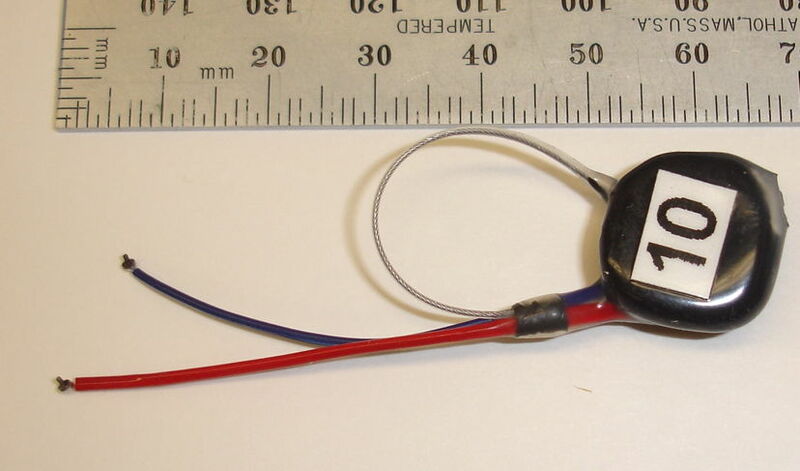 [15-JUN-16] The photograph below shows our J-Electrode, which provides a stainless steel wire. 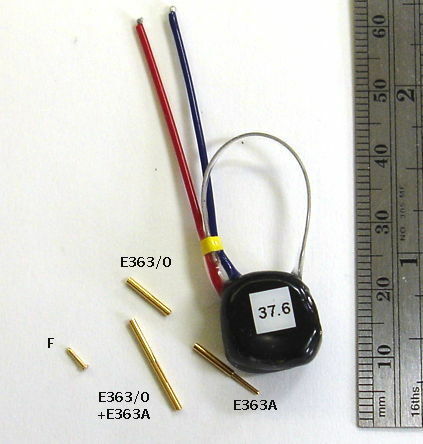 Our H-Electrode provides a platinum-iridium wire. The J and H electrodes performed well in dozens of implants, but they are inferior to the W-Eelctrode in that the the electrode wire is tends to have a slight curvature to it, making it harder to insert in the correct location. Figure: J-Electrodes in Gel-Pack Ready to Ship. A 125-μm diameter full-hardened 316 stainless steel wire has teflon insulation of diameter 200 μm, except for the 1-mm length where we solder the socket. The electrode wire is longer than necessary so we can cut it back during implantation. The guide cannula allows us to hold the electrode while the head fixture cement cures. We remove the guide entirely to complete implantation. The pick-up lead runs along the skull surface and attaches to the depth wire. We place an anchor screw nearby. The anchor screw and the depth electrode will be part of the same body of dental cement, so the anchor screw will secure the depth electrode. The socket is soldered to the electrode wire. For the H-Electrode's stainless steel wire, we use acid flux to make the joint. The socket has a hole at each end. The pin may be inserted only at one end. When, in our view, the socket is below the wire, the entry hole is the one facing us. When the socket is above the wire, as in the view below, the entry hole is facing away from us, and the tip of the pin will emerge from the hole we see. Figure: Close-Up of H-Electrode. Note the 1-mm separation between the tip of the guide cannula and the socket. This separation allows dental cement to secure the socket without adhereing to the guide cannula. The guide cannula permits the implanter to lower the electrode into the brain while monitoring the EEG signal. Once the electrode is in position, we cover the socket and anchor screw with dental cemant nd let it cure. We take care not to bury the tip of the guide cannula in the cement. Once the cement is cured, we cut the Pt-In wire where it emerges from the top of the guide cannula. We raise the guide cannula off the wire. We cut the wire where it emerges from the cement. We cover the exposed tip of the wire with more cement. Now the depth electrode is fastened to the anchor screw by dental cement, and there are no exposed metal contacts. [08-MAR-16] Here are instructions for implanting a J- or H-Electrode. Our collaborators at ION/UCL took these instructions and composed these Pictoral Instructions, which you may find more useful than our written list. 1 Remove from gel pack and inspect electrode. Locate the opening on the socket. 2 Press transmitter lead D-Pin into the socket. If small plug comes out the other side, discard. 3 Remove D-Pin from socket. Be careful not to bend the wire. 4 Cut wire to length. From socket to tip is skull thickness plus depth. 5 Sterlize with alcohol. If kapton tape comes off, leave it off. 6 Straighten wire if necessary. It may be bent at the end of the guide cannula. 7 Mount guide cannula thread in stereotactic clamp. Grip on the tape, if it is still attached. 8 Implant transmitter and insert D-Pin into socket. Be sure to insert into the correct end of the socket. 9 Lower wire into skull hole until socket rests upon skull. The electrode lead will be running along the skull surface. 10 Coat skull around socket with VetBond surface treatment. You can skip this step if you do not have VetBond. 11 Cover socket with dental cement. Do not allow the guide cannula to become fixed in the cement. 12 Wait for dental cement to cure, then cut wire loop at top of guide cannula. 13 Raise up the clamp to pull guide cannula off the wire, leaving wire sticking up. 14 Cut the wire flush with the top of the dental cement. 15 Cover the wire stub with dental cement. Table: Instructions for Implanting J- or H-Electrode. We do not include instructions for drilling a hole in the skull or implanting the transmitter itself. We assume the transmitter has a lead equipped with a D-Pin. [26-SEP-15] At Edinburgh University, they implant the prototype H-Electrode in trangenic mice. The figure below shows depth and surface field potentials recorded simultaneously with a dual-channel subcutaneous transmitter. The surface and reference electrodes are 0.5-mm screws. Figure: Depth (Pink) and Surface (Blue) Potentials.Recorded at Univerity of Edinburgh, (M1443256453.ndf) with a Subcutaneous Transmitter (A3028A-HCC). When implanting the H-Electrode, the Edinburgh group monitored EEG from the H-Electrode while lowering the tip of the electrode into the hippocampus. They adjusted the depth of the electrode until they obtained the largest possible EEG amplitude. The 125-μm tip of the depth electrode has impedance roughly 10 kΩ, compared to 2 kΩ for the screw. The depth recording has baseline amplitude 400 μV compared to 80 μV for the surface recording. There we see one or two step artifacts per hour in these dual-channel recordings. But the artifacts are shared between the depth and surface recordings, like this, so they cannot be the result of movement of the H-Electrode alone. [08-AUG-16] We receive archive M1470389836.ndf from ION/UCL. Two A3028H-DDC transmitters are implanted in two conscious, freely-moving mice with two J-Electrodes each. Amplitude is roughly 80 μV from all channels. We look through the hour-long recording and see none of the step artifacts that motivated the development of the H and J-Electrodes. Figure: Overview of One Hour of J-Electrode Recordings. Archive M1470389836.ndf, two A3028H-DDC transmitters equipped with four J-Electrodes. Range is normalized for each channel. We note that ION/UCL did not adjust the depth of the J-Electrode to obtain the maximum amplitude of EEG, but rather set the depth to a certain value during implantation without monitoring EEG. [05-FEB-16] Conductive epoxy might allow us to cement a bare wire directly onto the skull in two places so as to provide EEG recording without drilling any holes. We tried silver epoxy, as we describe below. The recordings pick up muscular activity from the scalp of the host rat, which we see also in un-insulated screw electrodes. Such activity we can detect and classify in order to distinguish it from EEG. The recordings showed continuous drift in the baseline voltage, not by transient steps as we see in poorly-secured wire electrodes, but as a drift of several millivolts over one-second intervals. Such drifts we can overcome with our event classification. The conductive epoxy recordings are, we believe, adequate for event detection. But the electrodes themselves are not as reliable as screws, in that they tend to come loose. More work with silver epoxy might increase reliability, but such work has not yet occurred. [12-AUG-10] CHB implanted transmitter No10 and glued the ends of the analog wires to the animal's skull using silver epoxy, which provides an electrically conducting contact. With these contacts, we observed seizure-like activity in a non-epileptic rat, as shown here in archive M1281121460. We are convinced that the epoxy contacts are picking up EEG. Later, in archive M1281455686, we can compare No10's contacts with No8's steel screw contacts. When we say baseline signal we mean the signal low-pass filtered to 1 Hz or so, which is a measure of the average value of the signal over a fraction of a second. Figure: Baseline Swings from Epoxy Contacts. Archive M1281455686 at time 224 s. The gray plot is No10 with epoxy contacts. Blue plot is No8 with screw contacts. From this one experiment, we see the baseline swinging up and down compared to the stable baseline we obtain from the screws. But the silver epoxy contact sensitivity compares well to that of the bare wires, and exceeds that of the screw contacts. Figure: Simultaneous Seizures Recorded from Two Rats. The No10 (gray) trace is from silver epoxy contacts. The No8 (blue) trace is from screw contacts. The following plot shows power in the 2−20 Hz band for the two transmitters during three hours of recording. Figure: Seizure Power. The graph covers three hour-long archives M1281455686, M1281460570, and M1281464170 recorded at CHB. Both animals receive kainic acid between time 300 s and 500 s. The No10 (gray) trace is from silver epoxy contacts. The No8 (blue) trace is from screw contacts. The peak power from No10 corresponds to vigorous seizures like this one, not any transient spikes or level shifts. In addition to seizure detection, the silver epoxy contacts are also sensitive to wave bursts in the 40−160 Hz band. The plot below shows simultaneous wave-bursts from No8 (screws) and No10 (epoxy). Figure: Wave Bursts in Epileptic EEG. Both animals have been injected with kainic acid an hour before. Here we see wave bursts in both signals, in the absence of a seizure. It appears that the silver epoxy has only one disadvantage compared to screws: a moving baseline. But the moving baseline does not appear to interfere with seizure or wave burst detection, and the silver epoxy method does not require holes in the skull. [30-MAY-17] The movement of electrodes with respect to the surrounding animal tissue will add step-changes in potential to the EEG signal. By default, we equip the amplifiers in our SCTs with a high-pass filter with cut-off frequency 0.3 Hz. When a step-change passes through this high-pass filter, it come out looking like a pulse with a sharp front edge, followed by a relaxation half a second long. The theoretical step response of the A3028B, for example, is the blue graph shown here. If we solder the two leads of a transmitter together, drop the transmitter in water, and stir it around, the standard deviation of the signal is less than 20 μV and we see no step artifact. If we separate the leads and allow them to measure the variation in electric potential in the water as we stir, we see 1-mV rumble, but not sharp steps. When we allow the electrodes to make intermittent contact with one another as we stir that we start to see 10-mV steps in the signal. We call these steps "movement artifact". The longer-term changes in potential that we observe with amplifiers that have no high-pass filter we call "chemical artifact", and we discuss those artifacts separately. Movement artifact arises in EEG recordings when the electrodes are not secured with respect to the skull. As implanters have learned to secure wires and screws more effectively to the animal skull, the frequency of these artifacts has decreased. In mice, these artifacts are particularly difficult to eliminate. Here are some examples of movement artifact from mouse recordings. Figure: Modest Movement Artifact from Skull Screws in a Mouse, A3028B (Edinburgh). Here we see pulses caused by steps of order 10 mV, which are shaped into pulses by the transmitter's high-pass filter. In the figure below we see far larger artifact from the same M0.5 skull screws in another mouse. Figure: Large Movement Artifact from Skull Screws in a Mouse, A3028C (MRC Harwell). Here we see large artifact with more complex progression, also from skull screws in a mouse. The amplitude is 15 mVpp. Figure: Large Movement Artifact from Skull Screws in a Mouse, A3028B (Edinburgh). Two separate animals, one showing artifact and the other not. We are not certain of the origin of the following features. The two traces are from a dual-channel transmitter implanted in a mouse. If the electrode potential of the common electrode changes, we expect the effect upon the X and Y channels to be shared. If the electrode potential of either X or Y changes, we expect to see the effect only on X or Y. Here we see opposite changes in X and Y. Figure: Modest Movement Artifact in Dual-Channel Mouse EEG. Scale is 400 μV/div. The number of movement artifacts in a recording varies greatly from one implant to the next, and is a strong function of who performs the surgery. Recordings from rats tend to have fewer than one artifact per hour for all experienced implanters. Movement artifact in mice varies from fewer than one per hour to hundreds of artifacts per hour. Those implanters whose recordings are almost free of artifact have reduced the artifact rate by working on better anchoring of their electrodes on the mouse skull. We are currently working on developing a guide to successful implantation in mice. [18-JAN-19] Most of our SCTs provide a 0.3-Hz high-pass filter to remove electrode potential and changes in electrode potential from the recorded signal. If we want to look for phenomena such as cortical spreading depressions, however, we must use an SCT with no high-pass filter, and now we become concerned with changes in electrode potential that take place over one to ten minutes. We call such potential changes "chemical artifact". Solder joints generate sustained chemical artifact when they are immersed in saline. No matter how hard we try to keep water off a solder joint in a head fixture, we find that it wicks its way along wires and into the head fixture to the surface of the solder joints, and so starts the generation of chemical artifact. Our first step in reducing chemical artifact is to eliminate solder joints. We can connect our helical bare-wire leads to a stainless steel wire with a short length of steel tube crushed with forceps. We can hold a bare wire in place on a skull with a screw. We take two transmitters with bandwidth 0-160 Hz and place them in 1% saline in two separate petri dishes, as shown below. Figure: Electrodes in Saline. Left: Crimped electrodes, one stainless steel wire crimped to steel spring, one crimp on steel spring only. Right: Bare wire and screw electrodes in dental cement. One device we equip with two crimps, one leading nowhere and one connecting to a bare steel wire. The other device we equip with two screws and a mock animal skull made out of dental cement. We record continuously for two days within a faraday enclosure that is disturbed only be changes in ventilation and lighting. Figure: First Hour Recording from Crimps (Pink) and Screws (Blue). During the night, when the lights are off in the OSI office, nobody is moving around, and nobody is touching the table upon which our experiment is running, the recordings are like the example shown below. Figure: Night-Time Hour-Long Recording from Crimps (Pink) and Screws (Blue). During the day, we see step changes in potential followed by relaxation on both channels. We call these "pulse artifacts". In forty-eight hours of recording we see 31 pulse artifacts from the screw electrodes and 9 from the crimp electrodes. The recording below shows several pulses from the screws. Figure: Pulse Artifacts from Screws. For pulses from crimps see M1547602637. We sometimes see changes in both signals occuring at the same time. In M1547588237 we see a pulse from the crimps occurring at the same time as a linear decrease in the voltage recorded by the screws. The screws suffer from more pulses, but the crimps show more short-term drift, as in M1547599037, and occasionaly larger drift as in M1547602637. When we return to the petri dishes after two days, the electrodes are still covered with water, but barely so. We perform a series of tests. Figure: Agitated Recording from Crimps (Pink) and Screws (Blue). (1) Rock enclosure for 60 s, leave for 140 s. (2) Rock for 10 s, no action for 80 s. (3) Open enclosure and add water to both petri dishes, followed by 425 s of no action. (4) Open enclosure and remove excess water, which takes 70 s and involves loss of signal. (5) Transmitters restored to enclosure and no action for 170 s. (6) Rock for 10 s, followed by no action for 210 s. (7) Sprinkle a pinch of salt into each petri dish, followed by 2350 s of no action. Raw data M1547821946.ndf. After this hour, we leave the dishes alone. The salt is dissolving. The lights and heating are on. For the next three hours, we only one pulse, see M1547825546. Other than this pulse, the signal remains stable to within a hundred microvolts. Our various users have been able to make every type of electrode termination work well, with the exception of the silver epoxy. In the A3028 manual page, you will find a table giving letter codes for the types of bare wire, screw, and pin in current use with our customers.